R.S. Mendelsohn sitting at a table laid out with dishes [in a dining room?] 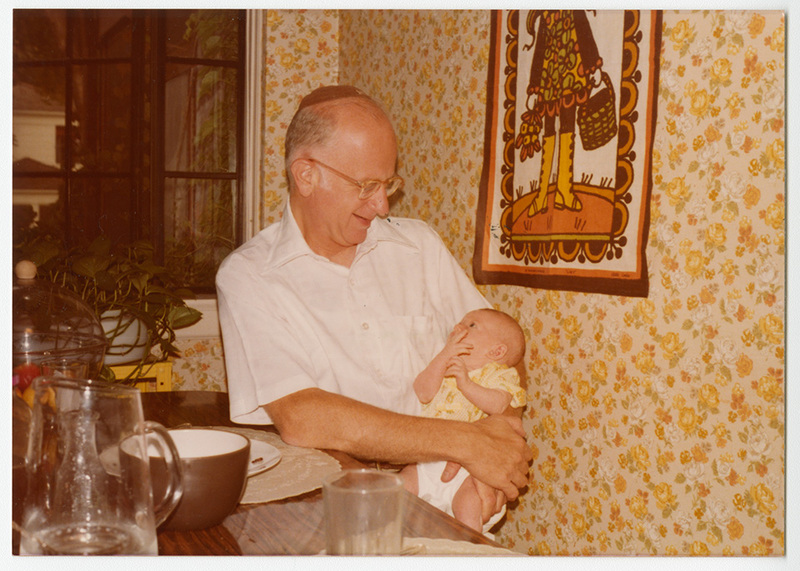 and wearing a yarmulke, holding baby Channa Lockshin.